LAGOS, 9 March 2016 – Research conducted by local travel booking website Travelstart has revealed the grim state of affairs at Nigerian airports. The research, which was conducted by way of a survey designed to gauge public sentiment around Nigeria’s airports, posed questions to more than 500 frequent business and leisure travellers. 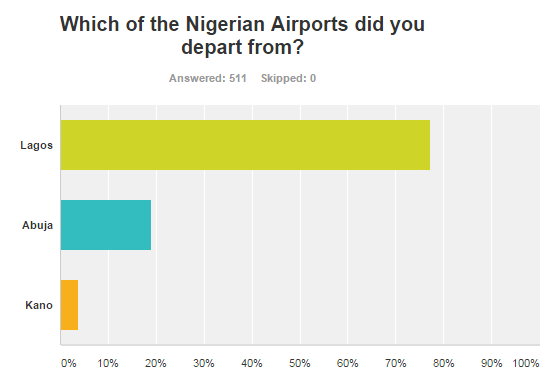 Murtala Muhammed International Airport was a forerunner in negative sentiment with 77% of the survey respondents citing Lagos as the airport they travel through most regularly. Survey respondents ranked a lack of facilities (59%), general conduct of officers of the force such as Immigration, Port Health, Customs (57%) and careless handling of luggage (44%) as the top pain points of travelling through our airports. 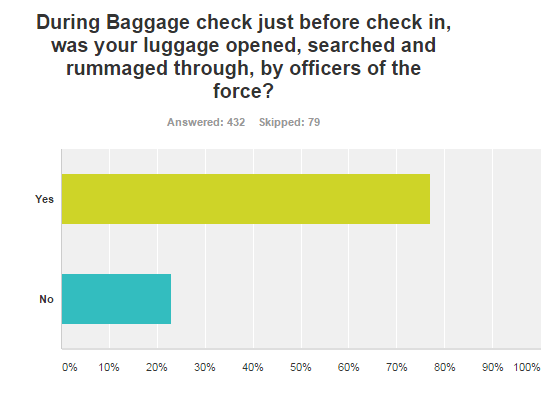 Shockingly, 70% of survey respondents say they have experienced problems with their luggage either being “searched or rummaged through” at a Nigerian airport; most of these incidents occurring at Lagos (LOS), Abuja (ABV), Port Harcourt (PHC) and Kano (KAN) respectively. Airport luggage searches are mandatory to protect against security threats and 55% of Nigerian travellers agree that the checks should not be abolished. However, most believe the way in which checks are conducted should be reviewed as the vast majority of innocent passengers don’t want to feel criminalised by the innocent contents of their baggage. In addition, modernising current methods of scanning luggage would serve to combat this annoyance and improve the quality of service delivery sans the “rough handling” which has become commonplace. 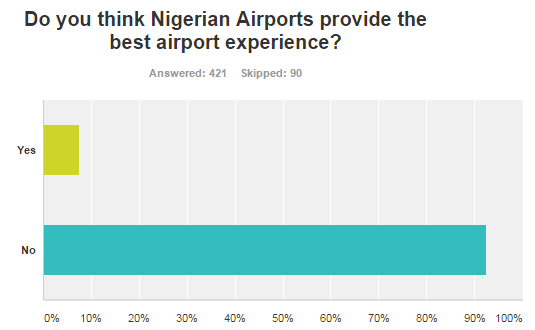 The survey determined that 92% of Nigerians feel the airport experience as a whole does not measure up to an acceptable standard. The airport experience should be aligned with the country’s tourism outlook if the Ministry of Culture, Tourism and National Orientation is to meet its goal of improving foreign arrivals in the country. For many passengers, transiting through hubs such as Lagos offers their first impression of the country and their perception is guided by what they experience at the airport. Compounding the grim outlook was a recent article by Business Day South Africa which reflected unfavourably on Nigerian airports, naming Lagos Airport the worst on the continent. Similarly, CNN ranked Port Harcourt Airport as the worst airport in the world in an article published in February 2016. Those who responded to Travelstart’s survey were given the opportunity to comment on what features should be added or improved on to make for a better airport experience. Analysis of the responses showed that Wi-Fi, air conditioning, customer service and staff training are areas FAAN (Federal Airports Authority of Nigeria) could focus on to improve facilities and the overall experience. Many agree that airport authorities should upgrade technology to address inefficiencies – “The system needs to be more fluid, bearing in mind the volume of people travelling. The luggage check, annoying as it is, can't be abolished because there are no luggage scanners but it is the biggest interrupter of the process,” one answer said. Are you satisfied with Naija's airports? Take the poll and leave a comment in the box below.